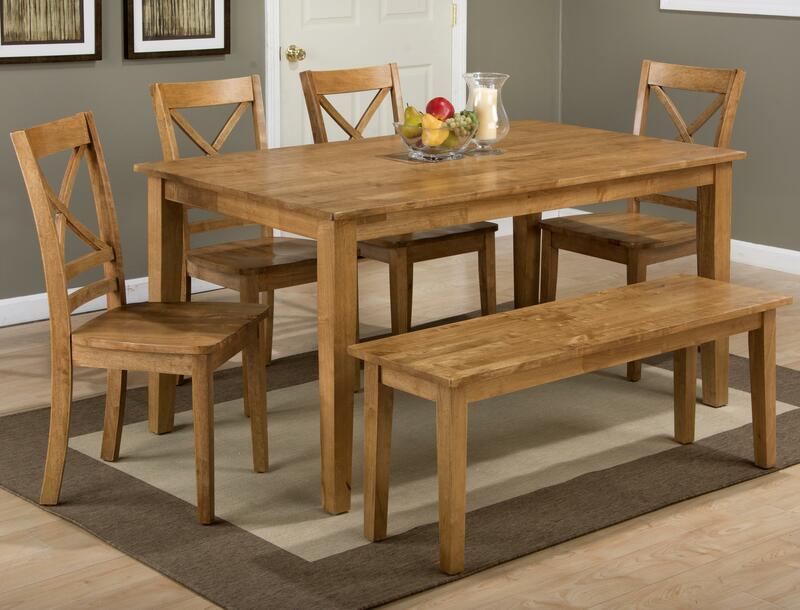 It doesn’t get any more classic then this simple styled six person dining room table, chair and bench set. Constructed of solid rubberwood beneath a rich finish tone, this rectangle table set seats up to six people with four chairs and one bench that can seat one to two people. It is made with solid rubberwood with a beautiful finish. 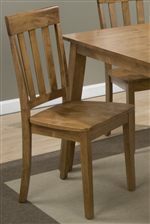 Use it to create a casual and contemporary style in your dining area or eat-in kitchen. The Simplicity Rectangle Dining Table and ("X" Back) Chair Set with Bench by Jofran at Red Knot in the Oahu, Honolulu, Kapolei, Pearlridge, Salt Lake, Hawaii area. Product availability may vary. Contact us for the most current availability on this product. Table Info Simple six person table. Dining Bench Info Simple dining bench that seats 1-2.